The heart of your building automation – includes standard functions such as scenes, sequences, time-planning, messaging and the management of light and shade, temperature control and so much more. 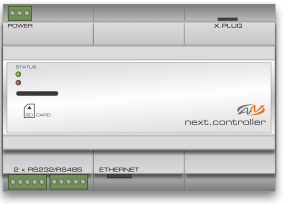 The controllers are available in two different models and with expansion modules. The next.controller collects data from a variety of different devices and systems and manages these; from the garage door through to the intelligent management of individual rooms within your building – all quite simply at the push of a button! 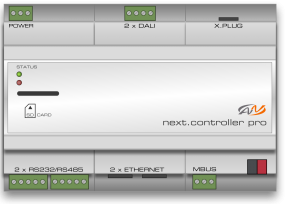 With the next.controller pro the bus systems KNX, DALI and MBUS are already integrated – their potential is almost limitless! 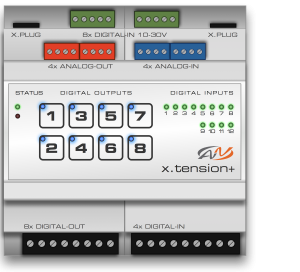 The versatile solution for the expansion of your controller with many inputs and outputs for building automation. 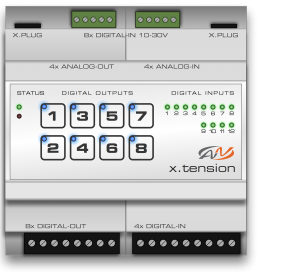 The versatile solution for the expansion of your controller with analog and digital inputs and outputs for building automation. 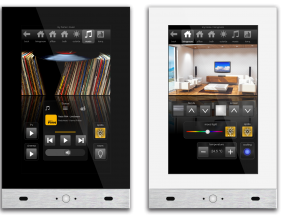 The x.touch 7 Multitouch user panel for wall integration is equipped with all the usual functions and controls.